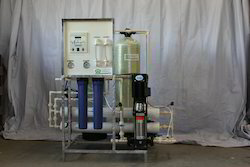 Offering you a complete choice of products which include water treatment plant, ro 100 lph water treatment plant and 100 lph ro plant with cooler. Being one of the celebrated manufacturers and wholesalers, we are involved in proffering Water Treatment Plant. Demanded in beverages, sugar mills, refineries, automobiles, pharmaceuticals, hotels and resorts, these plants are acclaimed for their operational fluency and excellent capacity. Due to the complete removal of impurities from the water, the proffered plants are highly sought after. We are one of the celebrated manufacturers and suppliers of RO 100 LPH Water Treatment Plant that finds a major application in food processing & pharmaceutical industries and recycling of water & distillation and manufacture of semiconductors. With an outstanding capacity of 100 Lph, these efficient plants are specifically engineered, with the assistance of advanced technology machinery. Saffire Spring Ro Systems is a trusted name in the field, which manufactures, supplies and distributes 100 LPH RO Plant with cooler, in numerous specifications. 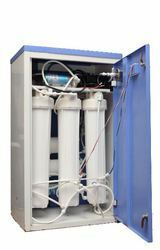 The proffered series is vastly used in removing chemicals and contaminated salts dissolved in the water. Precisely engineered at our end, the range is widely appreciated for its huge capacity of 100 LPH. Due to the energy efficiency and rugged construction, the offered batch is popular.